Born in Bolton, Rachael graduated with a degree in Philosophy from Manchester Metropolitan University in 2010. Eager to start working in a commercial environment, she secured a role as a Case Handler with Premex Services. In 2012, Rachael moved to Gibraltar to be close to family members. She joined EyeSpy Recruitment in November 2012 as an Administrator and has since progressed to become our HR and Operations Officer. Rachael is the glue that holds EyeSpy together! Her role is varied and spans operations, HR and accounts across international jurisdictions. She is currently studying for her CIPD HR qualification and has spear-headed transformational development in the company’s benefits and appraisal systems. A bookworm by nature, Rachael thrives in a challenging role in which she can progress academically and she manages to balance her study with a very busy day job! 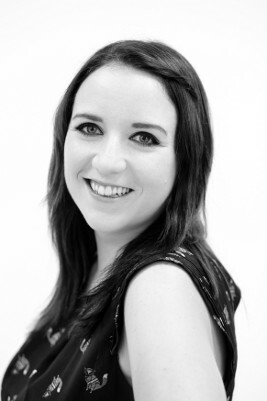 A calm and consistent force within the business, Rachael is a supportive figure to all members of the EyeSpy team. When she’s not working, she loves nothing better than enjoying a cold beer with good company or chilling at home with her much loved cats.